Prime - Minions Deluxe Action Figure - Bob with Teddy Bear Just $10.23! You are here: Home / Great Deals / Amazon Deals / Prime Exclusive – Minions Deluxe Action Figure – Bob with Teddy Bear Just $10.23! 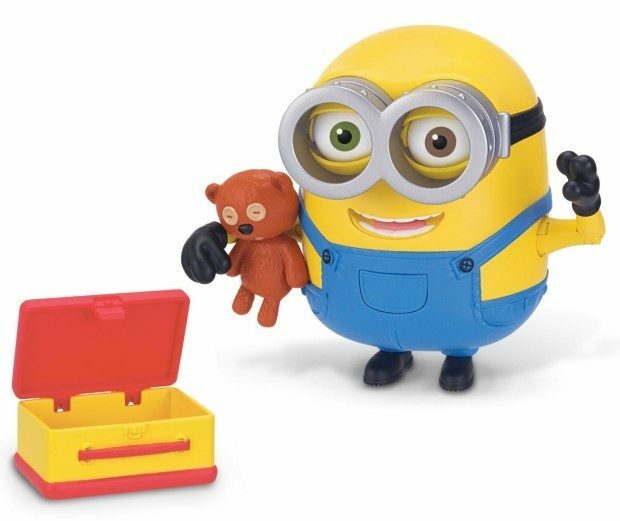 Prime Exclusive – Minions Deluxe Action Figure – Bob with Teddy Bear Just $10.23! Prime Members Join the Minion fun! Head over to Amazon to order the Minions Deluxe Action Figure – Bob with Teddy Bear for Just $10.23! Push his pocket to move his eyes & mouth. Each comes with bear & lunch box accessories. Articulated armes & feet. Can you say BA-NA-NA?